Windows 10 has a unique feature which lets you auto save captured screenshots to a particular folder named screenshots. Whenever you press windows key + PrintScreen Key , the screenshots will be automatically get saved in screenshots folder located Pictures\Screenshots. Screenshots folder is inside Pictures folder. This is very useful for those who frequently capture screenshots for illustrations or help images. Now, they don’t need to paste in paint after pressing PrintScreen. 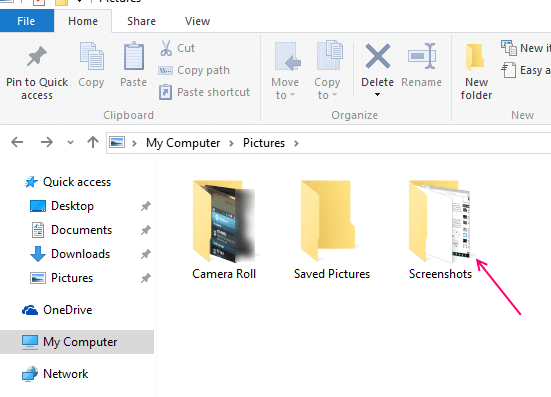 Just press windows key + Printscreen and the captured screenshot will be automatically stored in screenshots folder located in default pictures folder of windows 10. But, what if we want a different location for this screenshot folder. It may be a case if we are working inside a particular folder and finding it difficult to go to to pictures and then screenshots folder to fetch the latest screenshot. Let’s see how to change the default screenshot folder location. 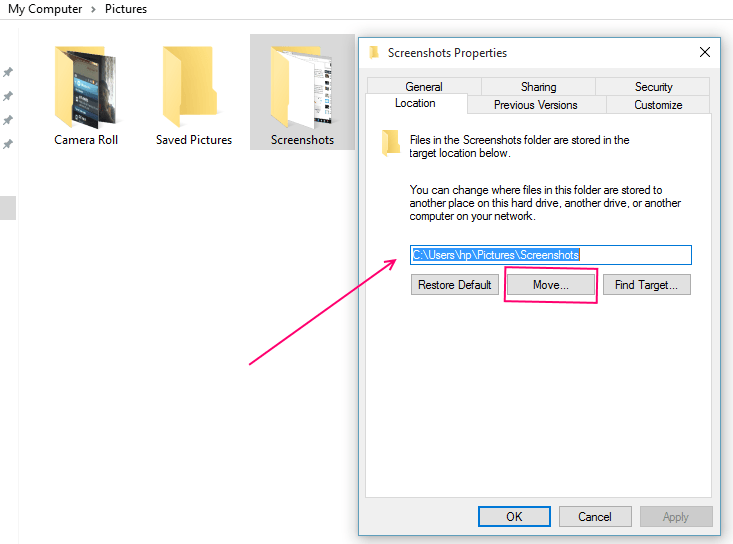 Step 2 – Right Click on Screenshots folder. Click on Move and find a different file path by browsing to the relevant location you want. Thats it. You have just changed the default path according to your desired one. Now, the saved screenshot will be fetched via a new location.